The Highland District in Denver has become one of the best areas in the city to move thanks to its combination of location, high quality residences, local attractions and history which dates back to the founding of Denver. The entire region is located just northwest of the downtown Denver area which offers excellent living opportunities for those who work in or close to the central region of the city. 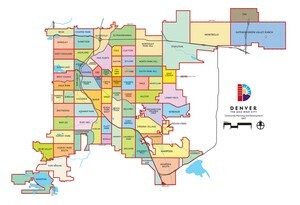 People often call Highland and West Highland collectively as the Highlands which refers\ to the Northwest Denver neighborhoods that also include Berkeley and Sunnyside. Yet while they sit side by side, they each offer a different flavor and setting for their residents. In total, the population of these districts is roughly 60,000, but it is their combination of history, community activities and modern outlook that makes them a special part of the city. The general community known as Highland is often called “LoHi” in reference to the fact that it is part of the “Lower Highlands”. While the designations may be a little confusing at times, the actual neighborhoods offer tremendous living opportunities thanks to the historic location, modern homes and multitude of community activities and events in the many parks that dot the region. West Highland shares many of the advantages it has with the other Highland communities, but it also features Highland Square, an outstanding example of community activity combined with cultural significance. 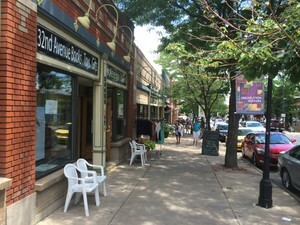 A centerpiece of the area, Highland Square acts as a focal point for many activities and events that reflect the family-friendly atmosphere of the area. The active 32nd avenue in particular offers many wonderful shops, restaurants and activities that make it the perfect representation of Denver living. Located in a region commonly known as Northwest Denver, Berkeley is located between Federal Boulevard and Sheridan Boulevard with I-70 bordering the north side while 38th Avenue is on the south. An area distinctive from West Highland, Berkeley features two lakes that are encompassed by parks as well as the William Scheitler Recreational Center. Over the past two decades, Berkeley has enjoyed real growth thanks to its great location, particularly the Tennyson Street district which has become a center for cultural activities. Add to that the fine homes, quiet neighborhoods and family-oriented attractions and Berkeley is a place where people thrive. The very name is a reflection of the positive attitude of the residents and their high level of community activity in the area. Many of the old fruit trees that were first planted over a century ago still grow in this area and the historic homes, many of which were built before 1930 reflect the rich history and culture that was Denver. However, the focus is on the modern thanks to an extensively active community, cultural events and ready access to the rest of the city. Overall, for those who want to have the best that Denver offers, the Highlands and its encompassing communities offer an outstanding location and ready access in the city thanks to the nearby highway systems, historic homes and buildings, numerous cultural activities and events along with great shopping, restaurants and everything that makes this area special.